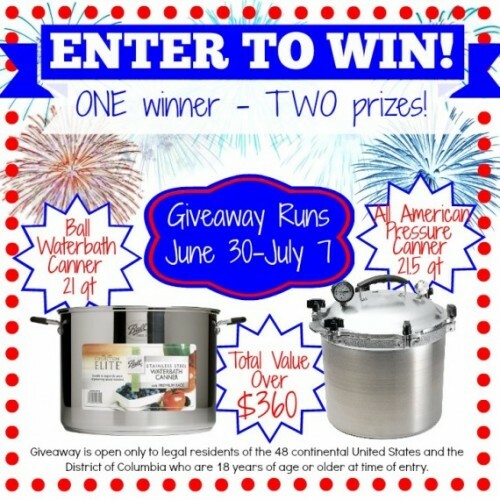 All American and Stainless Water Bath Canner Giveaway! Time for another giveaway! Home canning my own produce has been a big part of our food storage plan. 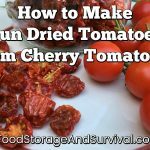 It is an inexpensive way to preserve your own garden bounty or fruits, vegetables, and meats that you buy. We LOVE homemade jam and bottled meat. To help you out with getting started canning (or upgrading your canning gear! ), I got together with a few of my favorite blogging friends to offer one lucky winner this fantastic prize package. The perfect canning combo–One All American Presssure Canner AND one Ball Water Bath Canner! We put our money together to thank you, our awesome readers, for your loyalty to our blogs. We also want to introduce you to some new blogs, make some new friends and learn more about being self-reliant and so much more! Jennifer @ Are We Crazy, Or What? This giveaway is open to all legal residents of the 48 continental United States and the District of Columbia who are 18 years of age and older at the time of entry. The giveaway starts June 30th, 2014 at 5:00 am (MDT) and ends on July 7th, 2014 at 5:00 pm (MDT). We will choose a winner at the end of the giveaway and that person will be notified by email. They will have 48 hours to respond. If they do not respond we will choose another winner. Good luck to everyone and here’s to canning and preserving our own food!